I’m a big fan of The Modern Eatery. 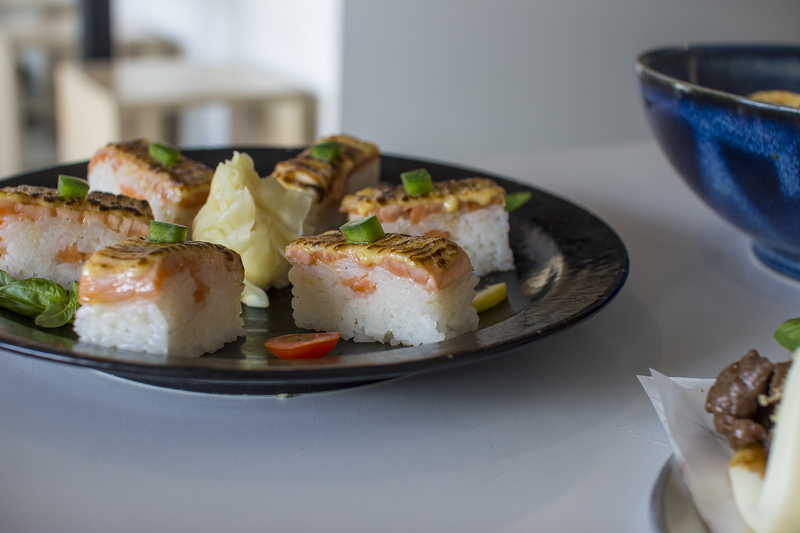 I have been since they opened their doors in Fremantle and I discovered the delights of aburi salmon. Fast forward to me working in North Perth and UberEATSing said dish at least once a week for a good chunk of time. 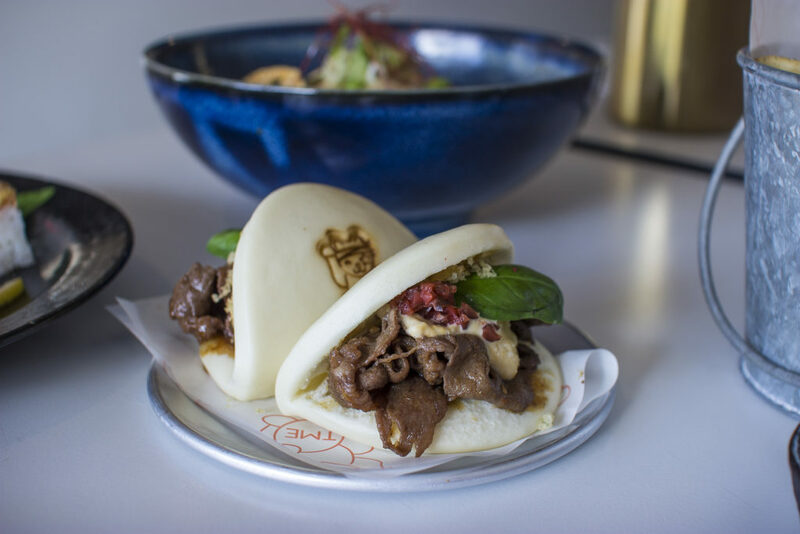 It’s a staple in my diet and so imagine my delight when I was invited to the Mount Lawley store to try out their new menu. 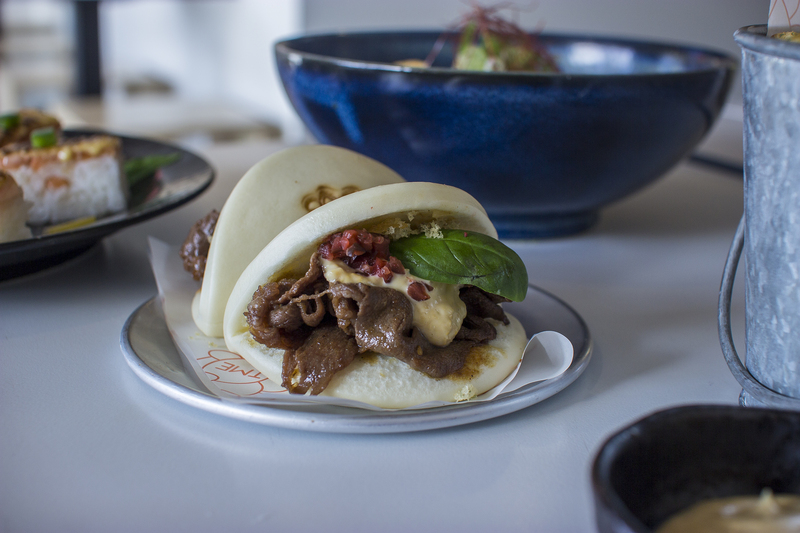 The revamped offering is definitely still as attractive as ever, if not more thanks to the injection of fun, small plates to share, and a refinement of their sushi rolls. 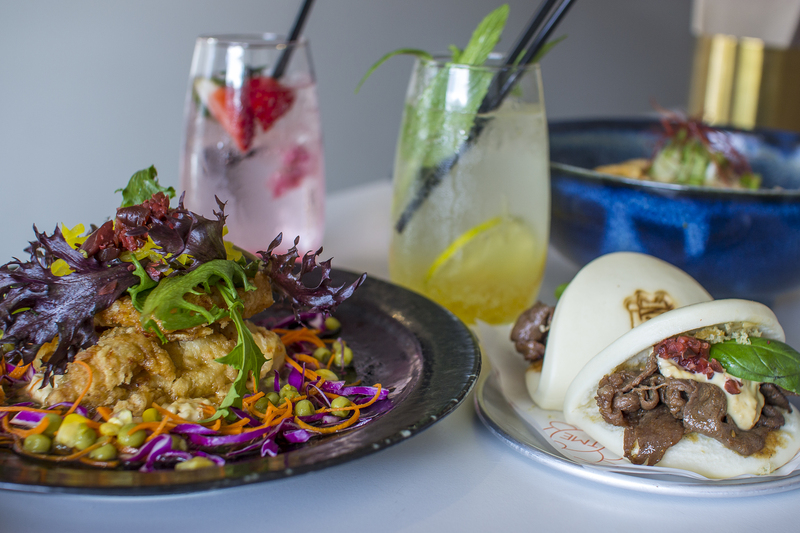 There’s also a new ‘feed me’ option for two people which offers five dishes at $59.00. 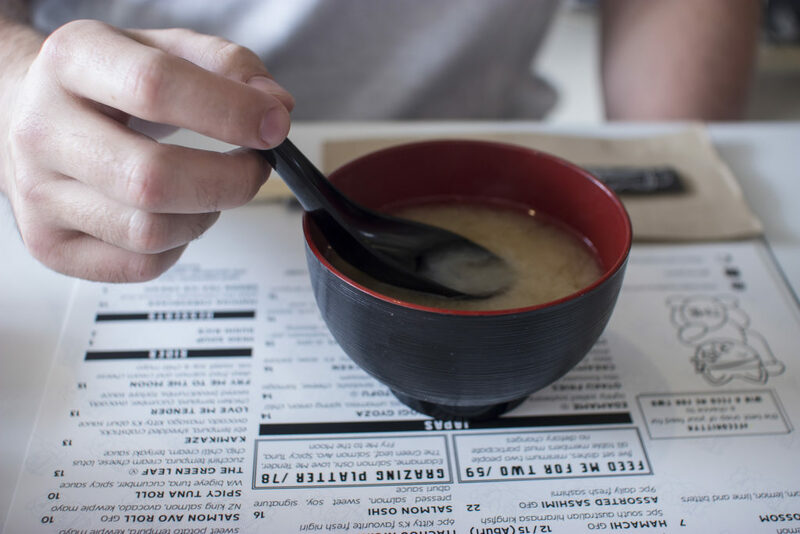 With Jeremy in tow as my eating partner, we left it in the hands of the talented team at TME to select which dishes and drinks we’d try – which was the perfect way to get the whole new menu experience. First things first: two types of tea. 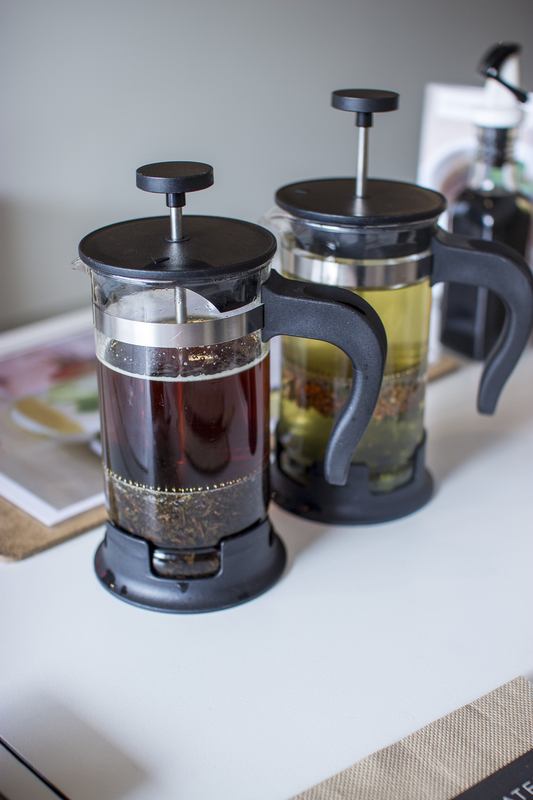 Black and green, both brewing fresh at the table and steeping beautiful flavour into the steaming water. That combined with a bowl of miso soup ($3.00) each was a good way to whet our appetite and get excited about what was to come. 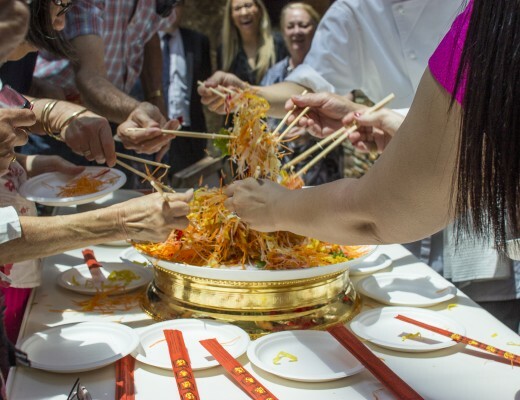 Before long our food and more drinks start spilling out onto the table. From the cocktails portion of the menu: the yuzu garden, the matcha plum dream and the cherry blossom princess (all $7.00). I honestly loved each of these – though the matcha and the cherry blossom were my favourites in particular, and Jeremy was all about the yuzu. 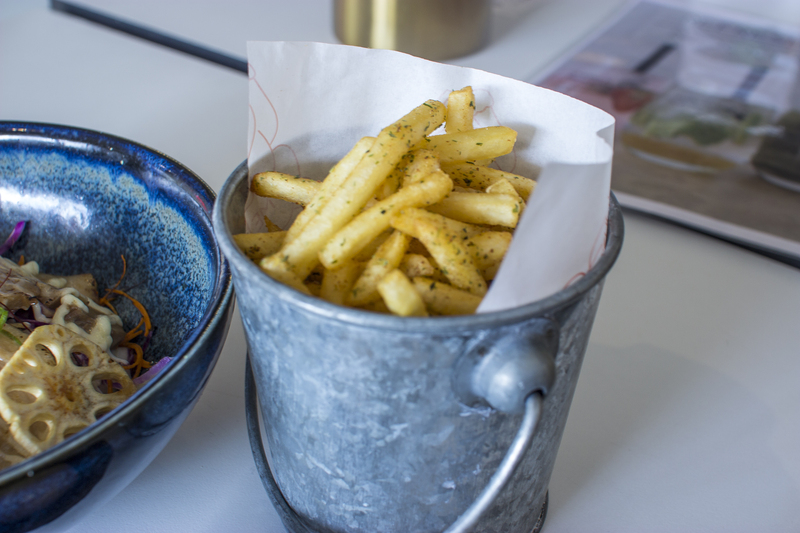 The dishes from our feed me menu for that lunch were all really tasty. It’s no lie, I’m just such a fan of this place and Jeremy was definitely won over too. The otaku fries ($8.00) have a barbecue flavouring to them, and come with Kitty K’s aioli sauce. Perfect for dunking and enjoying between the larger dishes. 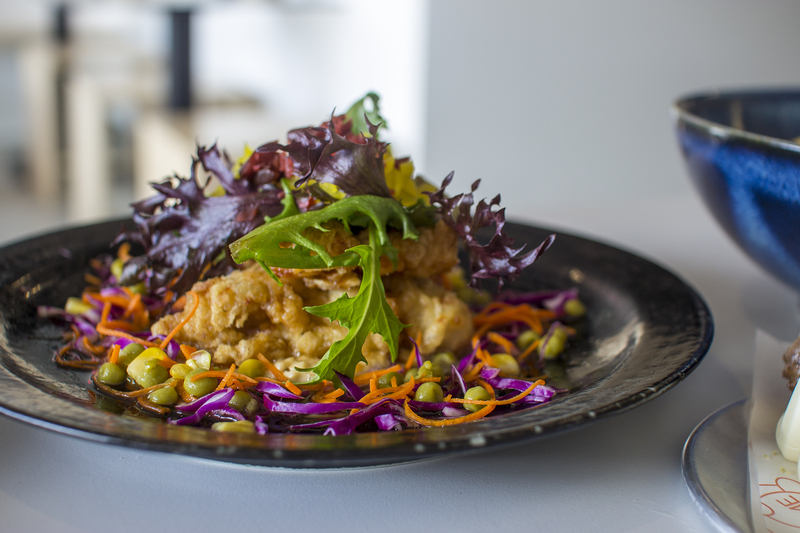 The miyazaki chicken ($16.00) is bright and vibrant: tempura chicken with slaw and tartare sauce. 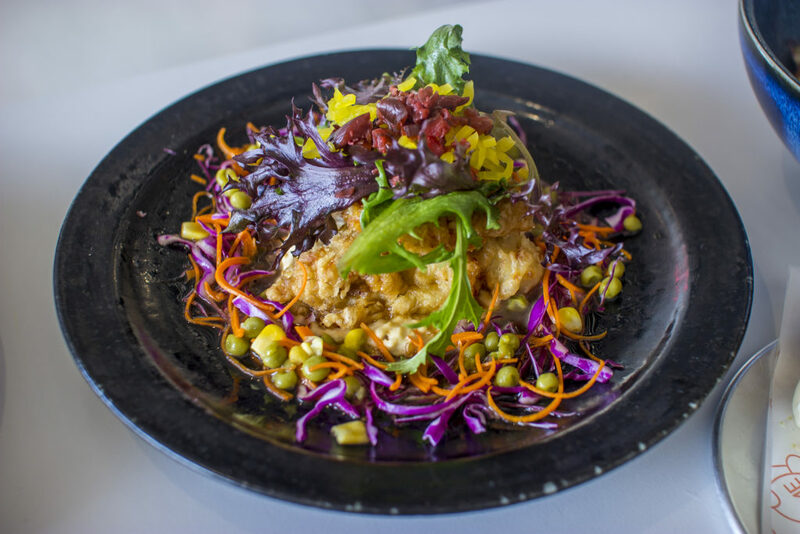 It sounds like an odd combination but actually it works so well – and even though its fried you don’t feel too guilty because of the abundance of vegetables. The salmon oshi ($16.00) is my go to dish at this restaurant (yes I also UberEATS it more than I’d like to admit). 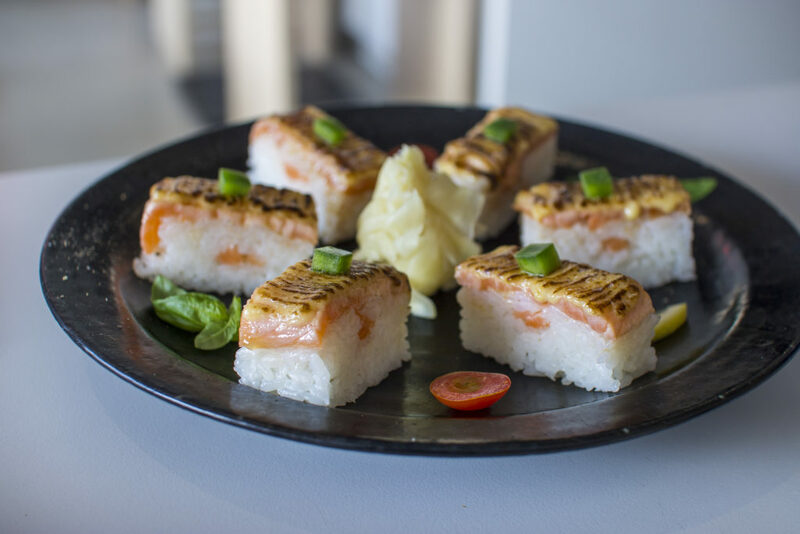 Comprised of pressed salmon, sweet soy and a signature aburi sauce, it is a heavenly bite. Deeeelicious. And it’s a stand out on their menu from opening day that I’m happy to see has continued to pack a punch. 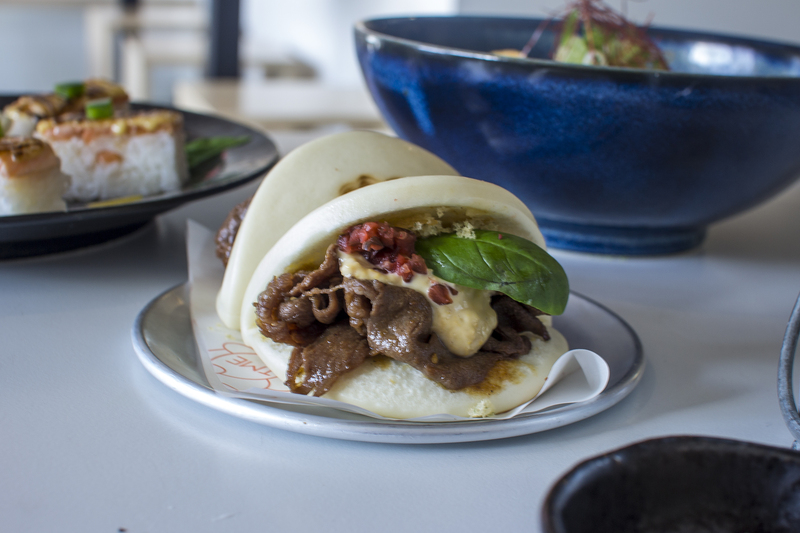 Two servings of bao bae ($7.00 each) – wagyu yakiniku bao with aonori bits, red pickle and basil leaf don’t just look cute with their cat stamp, they also are another tasty bite. Jam packed with ingredients, the entire sandwich had purpose – greatly elevated by the basil. 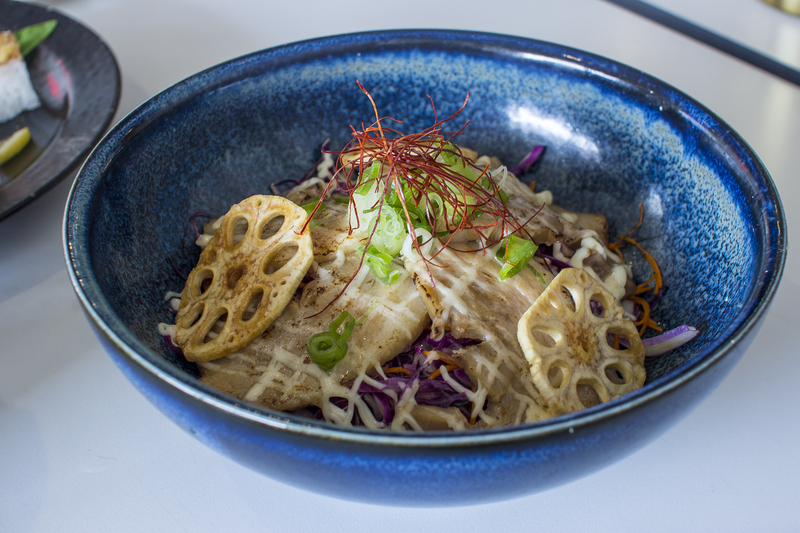 And finally the aburi chashu bowl ($16.00). The chef told us this was his favourite, and I can see why. Slow cook, soy marinated pork, with seared kewpie mayonnaise, rice and slaw. The fat from the pork had cascaded down onto the rice and left it with a umami, rich and decadent flavour hit. I’d happily sit back in a corner here for lunch or dinner and polish this dish off as a solo venture. It was comforting, homely and just plain good. What a meal. 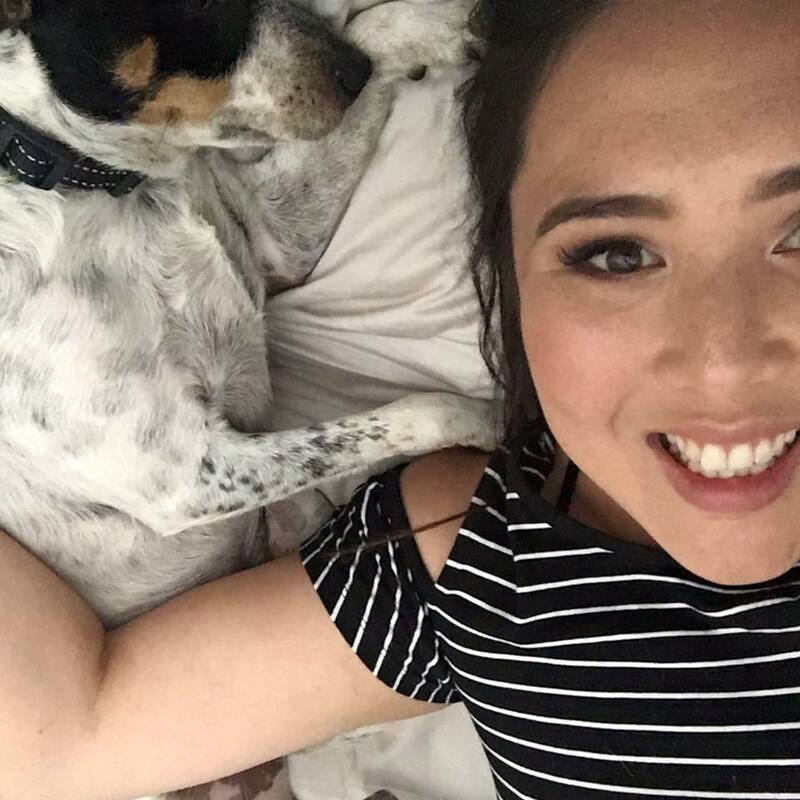 Filled to the absolute brim, smiling from ear to ear. It’s these kinds of meals that leave me so happy and sated. 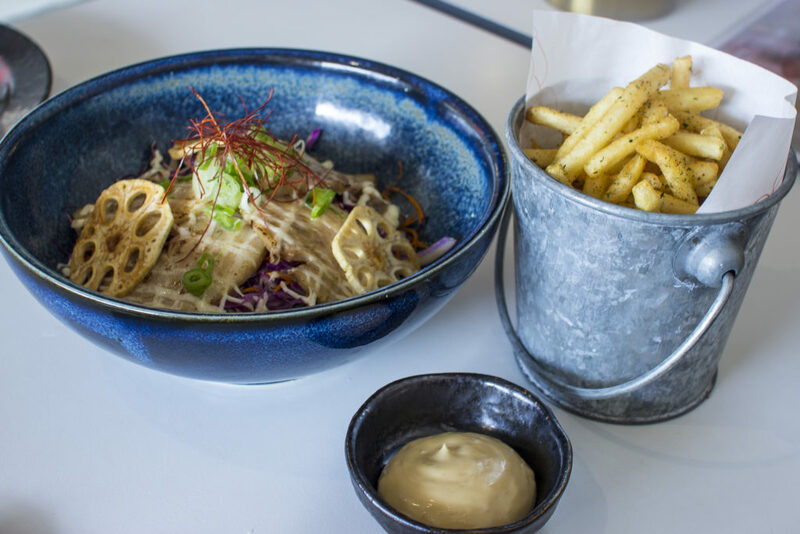 What they’re doing at The Modern Eatery isn’t fine dining or cutting edge, but it is a nouveau twist on traditional Japanese flavours, and it’s always so well executed. It’s familiar in so many ways, and yet unexpected too. And these are just some of the reasons I like it so much. Keep watching this space, I’m expecting them to become an even greater powerhouse as time goes by.